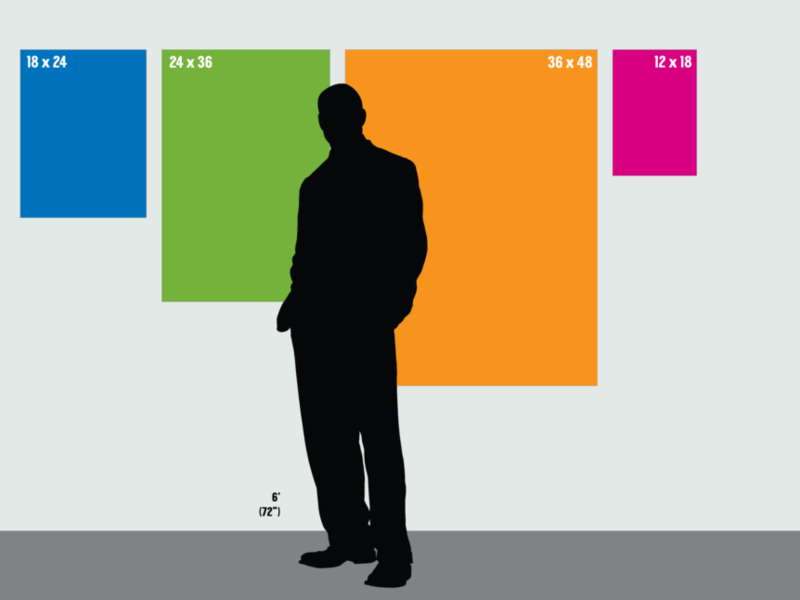 The image shows the most common poster sizes in relation to an average 6FT tall male. Placement of the poster and the content displayed will most affect the best print size. Posters standing on a floor easel should be anywhere from 24×36 (6 square feet) up to double the size at 36×48 (12 square feet). Pro Tip: Transporting oversize mounted posters in a standard car becomes difficult around 40″ wide. If you don’t know someone with an SUV, we offer delivery services to the Cape and Plymouth.